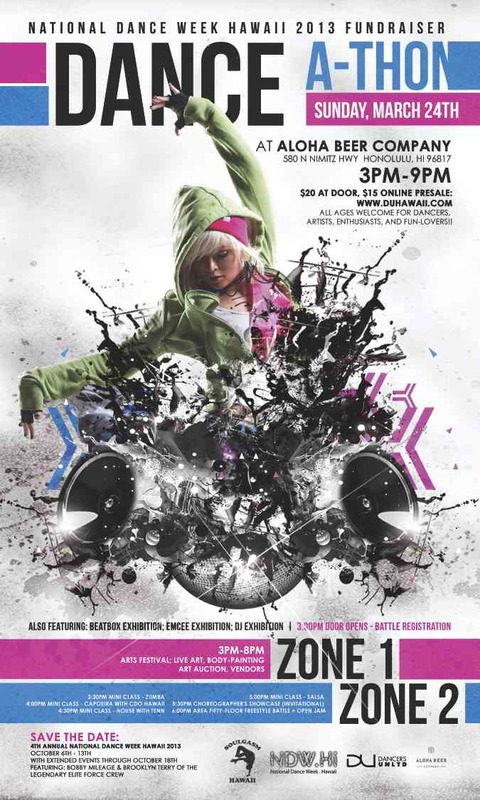 We are excited to announce the 4th annual National Dance Week Hawaii this year! To ensure this year's festivities are better than ever, we need YOUR HELP! We are trying to raise $10,000 so we can provide scholarships, free workshops, scholarship trips, agency audition (LA/NYC), and rent out Hawaii Theatre for Hawaii dancers & guest dancers to perform at NO COST. This year, we are also expecting international guests from our Asian neighbors. Funds raised will help provide hosting studios the support to show our Asian friends the ALOHA spirit we are proud of. CHOREOGRAPHER'S SHOWCASE: 8 groups, audience's vote. Best choreo piece wins $200 cash prize and 1 free NDW Hawaii workshop (for each performer) in October.